As expected, Olímpico de Pozuelo clinched Spanish league again today. INEF managed to avoid relegation play-off spot after a hard season where they were even menaced with DSQ for lack of players. England's U20 team will be headed to Canada (Halifax specifically) this August for a three game series. 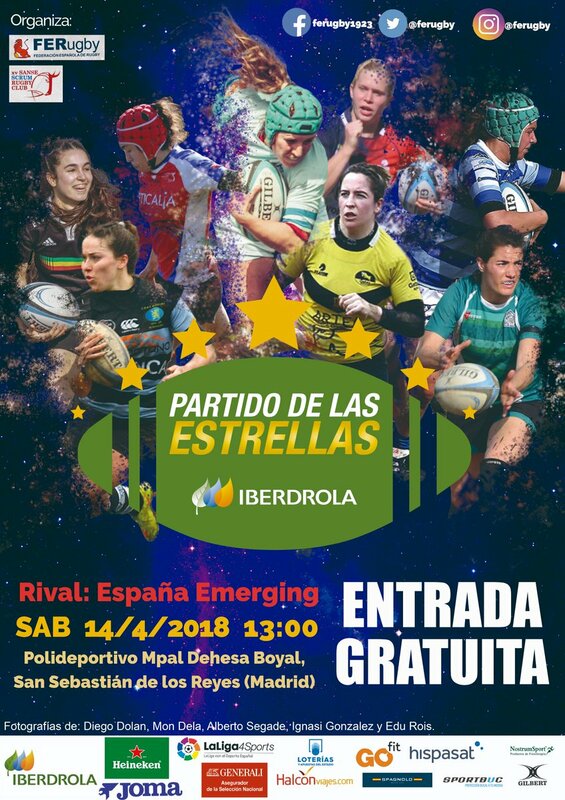 Spain U20/Emerging/Whatever got beaten 20-34 by Iberdrola All Stars. NSW Waratahs have beaten Queensland in the first Super W Final 16-13 in extra time. Awesome match, real intense and great skills shown by the ladies. Competition needs to expand next year to either be a full home and away season or to have women's kiwi teams involved. I don't know if anybody posted it before but it seems that there's a XV revival in Asia with the Asia Rugby Women’s Championship Div 1 in Singapore in June. No trace now of an Asia Rugby Women’s Championship with Hong Kong & Japan (or even Kazakhstan). sjbret wrote: I don't know if anybody posted it before but it seems that there's a XV revival in Asia with the Asia Rugby Women’s Championship Div 1 in Singapore in June. First test matches for India - I hope someone tells WR! This sunday there's the premiership final: Harlequins v Saracens (with italian lock Fedrighi maybe on the field for the Saracens). Do you know if also this match will be live-streamed? Sweden have withdrawn from the European Trophy in Switzerland in October, citing the high costs of participating in the tournament. That leaves Russia v Finland and Switzerland v Czechia as the semi-finals, I believe. Sweden will instead play an "international match" sometime between 11 and 14 October. Both sides are littered with international stars with Quins utilising the services of current and former Red Rose players, Vickii Cornborough, captain Rachael Burford, Abbie Scott, Shaunagh Brown, Leanne Riley, Fiona Pocock and Zoe Saynor. The experience of USA full-back Jess Wooden and Scotland flanker Deborah McCormack is also added to the starting XV. Saracens starters boast seven England internationals alongside captain Clapp in Hannah Botterman, Marlie Packer, Poppy Cleall, Lauren Cattell, Georgina Gulliver and Zoe Harrison. The squad also includes two Dutch internationals in Tessa Wijmans and Sam Martinez Gion". mcruic wrote: Sweden have withdrawn from the European Trophy in Switzerland in October, citing the high costs of participating in the tournament. Given the lengths to which Rugby Europe and the Swiss organisers have gone to keep the costs down, this is a great shame. I wonder if their need to organise a playoff game with Finland was a contributory factor. Anyway, if Sweden could not afford to take part in this you do wonder how they will ever be able to play in any test series. For one of the pioneers of women's test rugby this is a big backwards step. 2 autumn tests between France & Black Ferns. Dates : 9, 10 or 11 november then 16, 17 or 18 november. Venues TBD. Do the Black Ferns have any June tests? They are playing the Wallaroos in August before each of the mens matches. I don't know if the women's international window is the same as the mens. thatrugbyguy wrote: They are playing the Wallaroos in August before each of the mens matches. I don't know if the women's international window is the same as the mens. There are no Test Windows for women. And a fifth test this year for Black Ferns Vs USA Eagles on november 3rd in Chicago, before going to France. sjbret wrote: And a fifth test this year for Black Ferns Vs USA Eagles on november 3rd in Chicago, before going to France. Black Ferns, Ireland, Red Roses, England 'A' for November...at least I think it's England 'A'. Pretty Awesome! Long time coming but finally they get contracts is a start in the right direction.